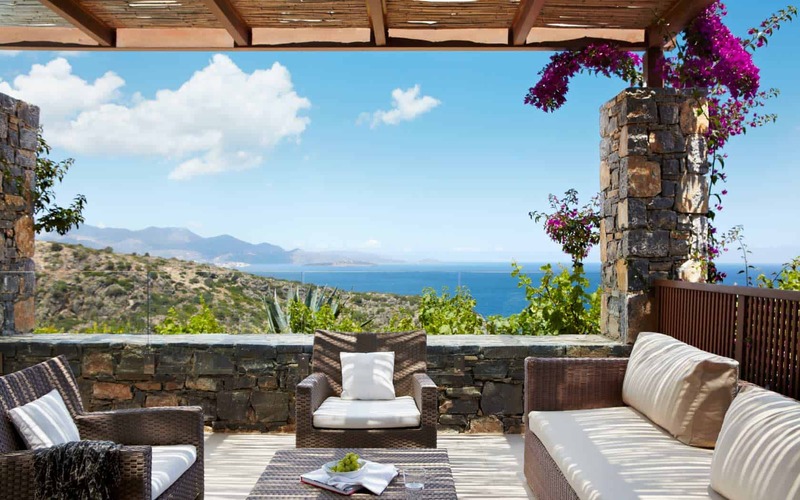 Nestled on the stunning island of Crete is the Daios Cove Luxury Resort & Villas , boasting a fantastic location overlooking the picturesque Daios Cove beach and the dazzling blue Aegean sea. 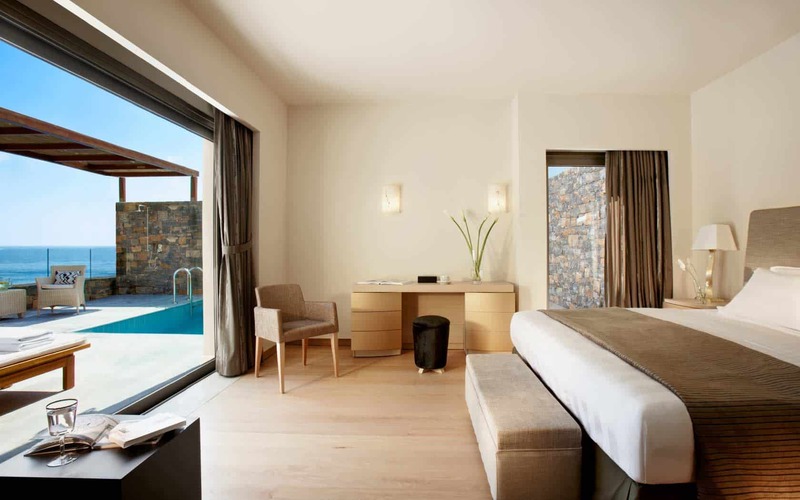 Design Holidays are pleased to offer the best possible room rates for the Daios Cove, Crete and have many Daios Cove Special Offers throughout the year especially when you book early. 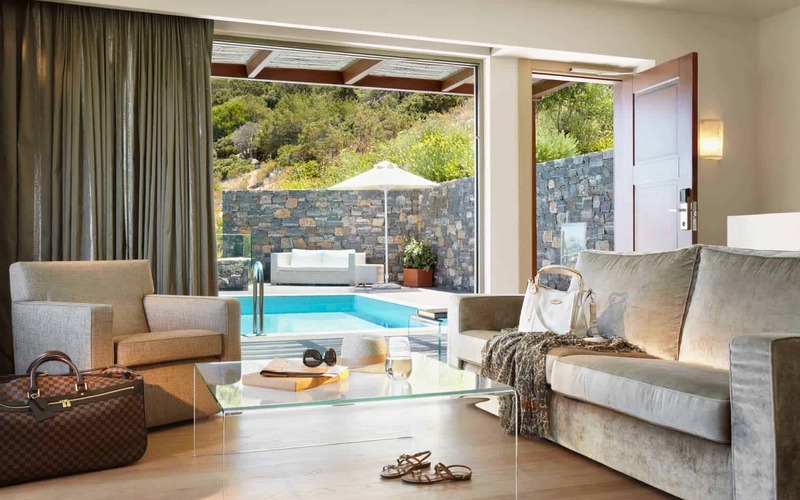 What we say : ‘Experience the Residents Club available for all of our Daios Cove villa guests as an added extra cost, offering fine wines , a la carte dining , private heated pools, pillow selection and so much more – wow’. 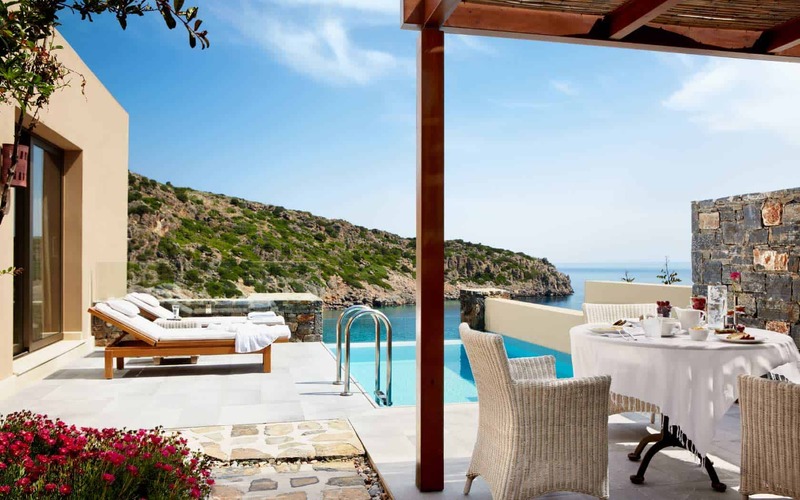 Daios Cove has a fabulous choice of luxury accommodation from well-equipped modern guest rooms, luxury suites and villas all with superb views and have been finished in crisp, neutral tones. 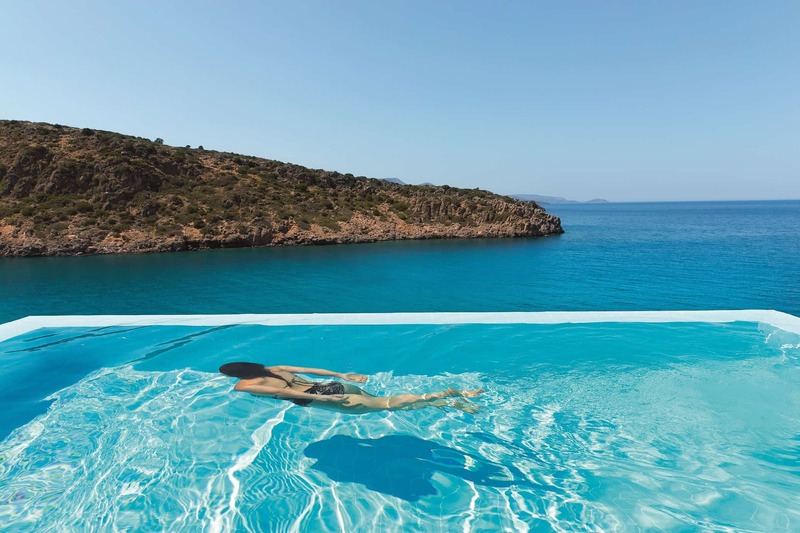 The impressive Daios Cove infinity pool, complete with a wet bar, provide the perfect place to relax and enjoy the hypnotic views on your holiday in Crete. 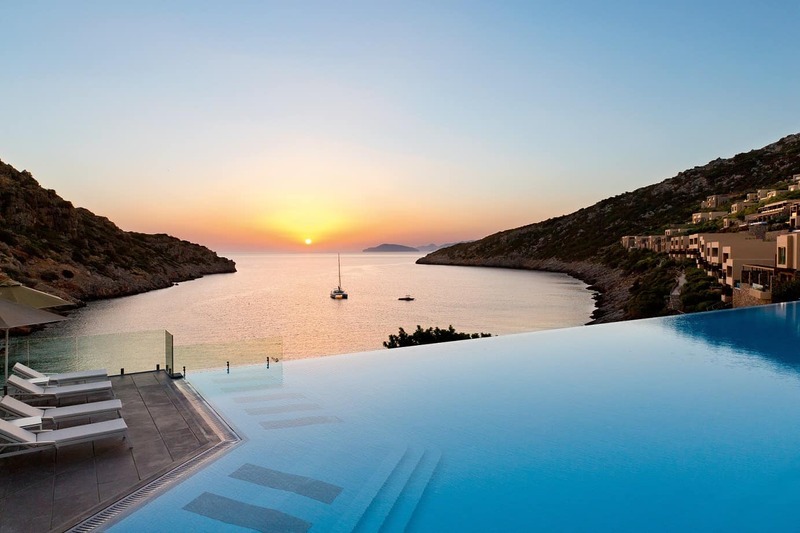 The Daios Cove which offers comfortable sunbeds and direct access to the turquoise waters of the Aegean Sea. 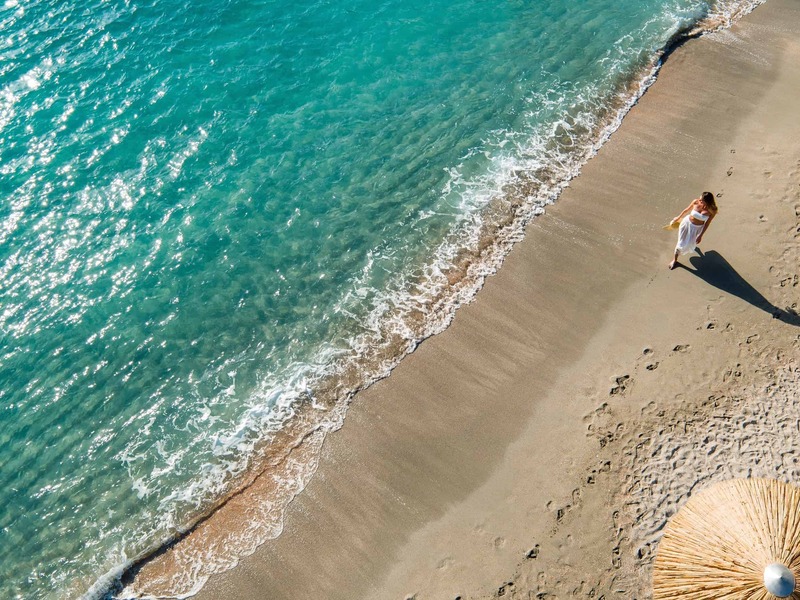 Alternatively, for those looking for a pampering experience, the Daios Cove’s spa and Fitness Club, Germaine de Capuccini, has a range of rejuvenating treatments, allowing you to truly relax in the best luxury resort in Crete. 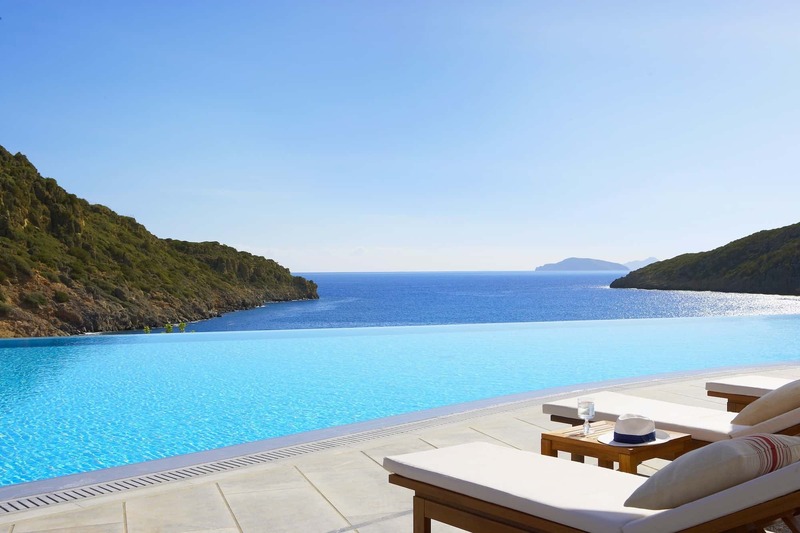 Accommodation at Daios Cove may be chosen from 261 luxury Rooms & Suites and 39 Villas including Deluxe Sea View rooms and the Cove Club Villas, all offering amazing sea views. 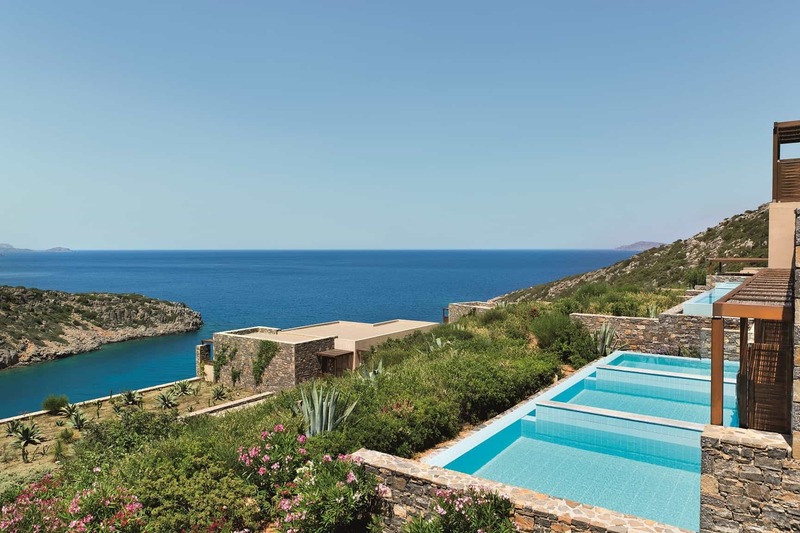 The needs of the most discerning Design Holidays guests are surpassed in every way with the Daios Cove one, two and three-bedroom Villas as well as Wellness Villas. 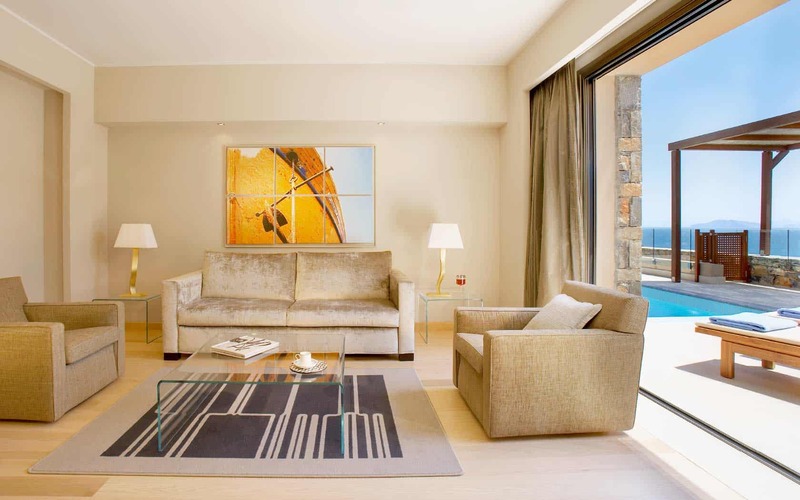 Deluxe Side Sea View rooms are 42m² and have a seating area and a 10m² private balcony with side sea views. Facilities include satellite TV, iPod docking station, tea & coffee making facilities, natural linen sheets, feather and memory foam pillows and a separate rain shower. 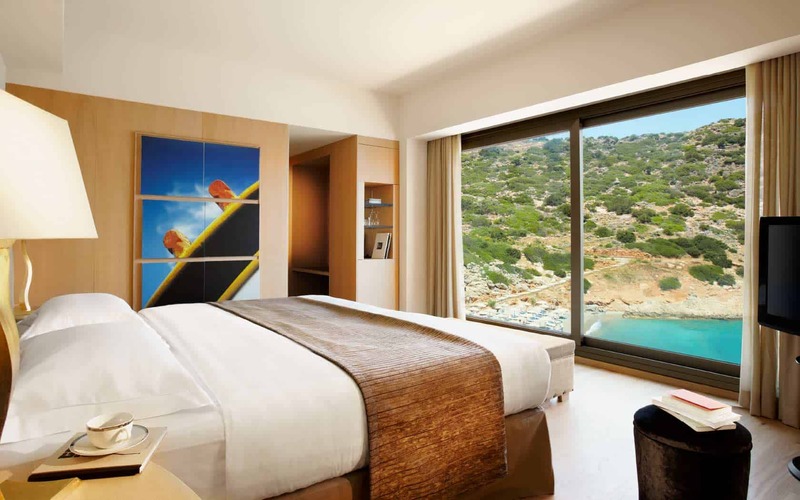 Rooms with a full sea view are available for a supplement. 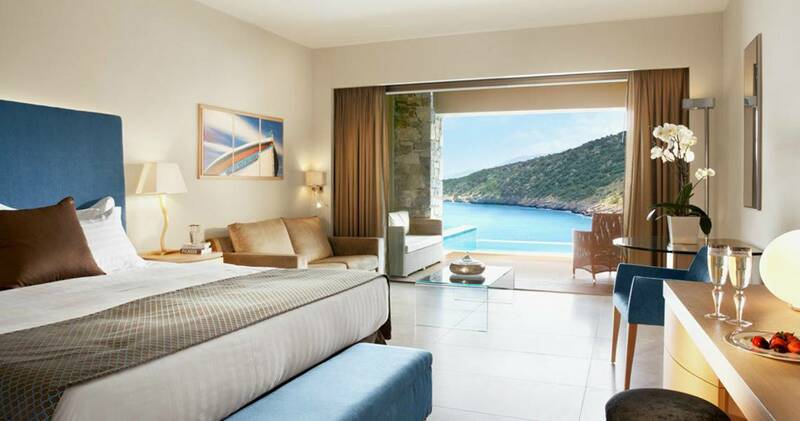 Deluxe Sea View rooms with Pool are the same as the Deluxe Sea View rooms, but also feature a individual sea water pool. 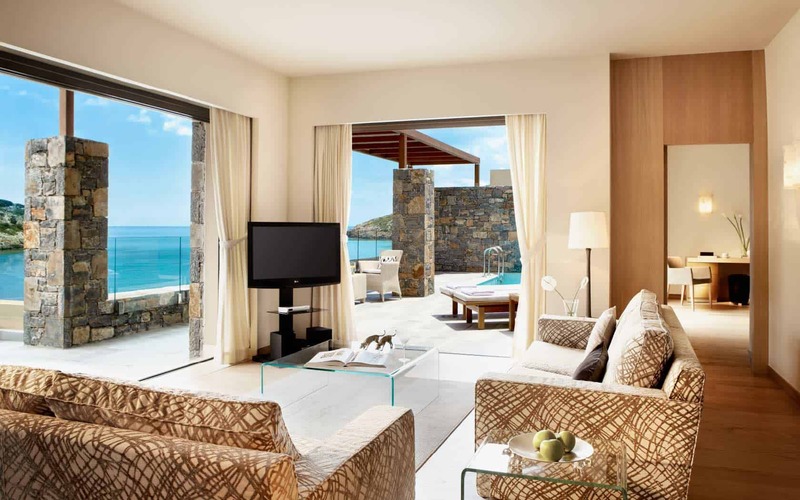 Junior Suites with Sea View and Private Pool are 42m² and have a bedroom and sitting area in an open-plan style. 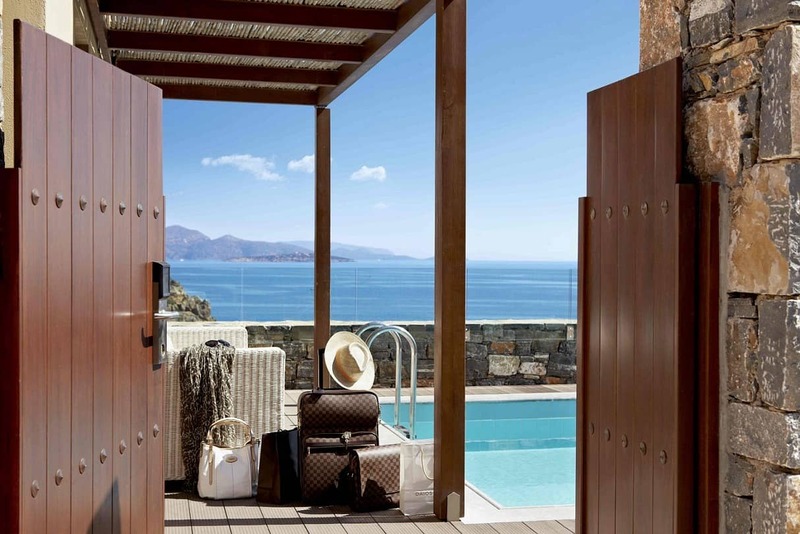 The spacious terrace is 30m² and has a private sea water pool. One Bedroom Suites with Sea View are 65m² and are spacious with a separate living area and a private balcony measuring 50m² with views of the Mediterranean. One Bedroom Suites with Pool are 65m² and are spacious with a separate living area and a private balcony measuring 50m² with views of the Mediterranean and a private sea water pool and sun deck. Two Bedroom Suites with Sea View are 107m² and consist of two bedrooms with en suite bathrooms, a separate living room and a large terrace measuring 50m² with sea views. 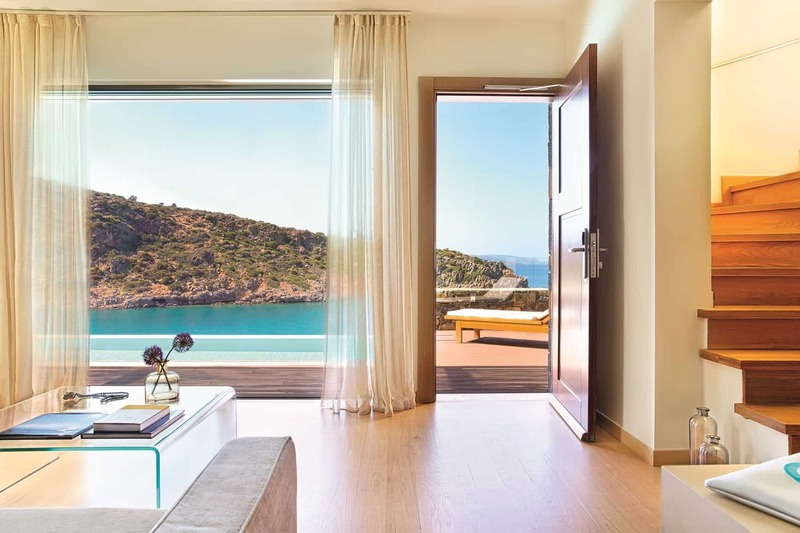 One Bedroom Villas with Private Pool are 95m² and have beautiful sea views, a spacious living area with balcony, bedroom, bathroom with separate bathtub and shower. 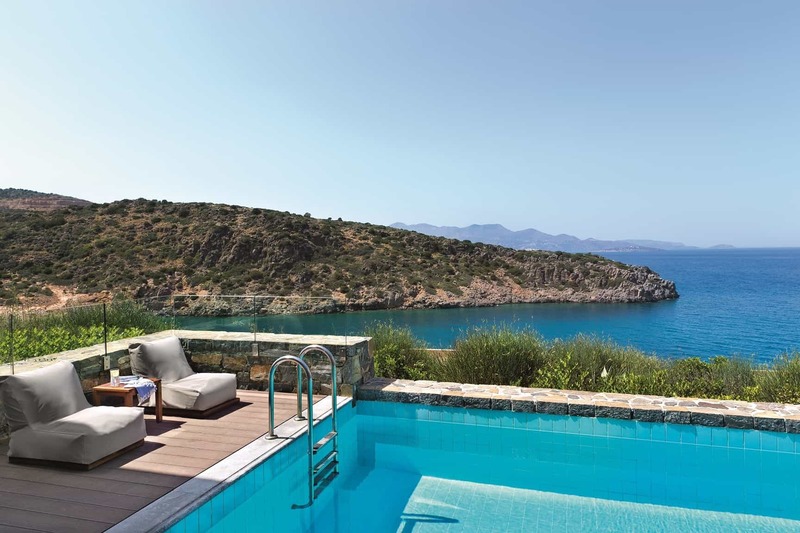 The terrace measures 40m² and has a private heated salt water swimming pool. 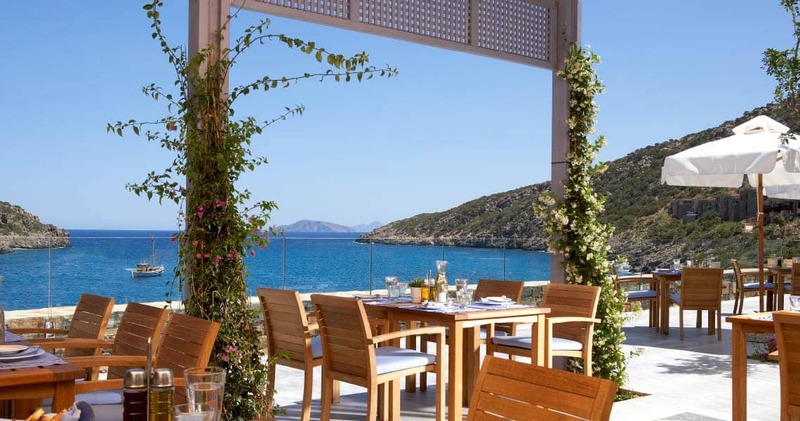 Daios Cove has an eclectic collection of restaurants offering delicious specialties from Greece, Italy & Mediteranean, to satisfy every taste and mood. Serving Greek specialities for lunch and Mediterranean cuisine for dinner. Guests on half board can received a credit towards meals in this restaurant. Serving fresh Italian cuisine in a unique atmosphere. Guests on half board can receive a credit towards meals in this restaurant. Serving light snacks and fresh salads. including à la carte restaurants. 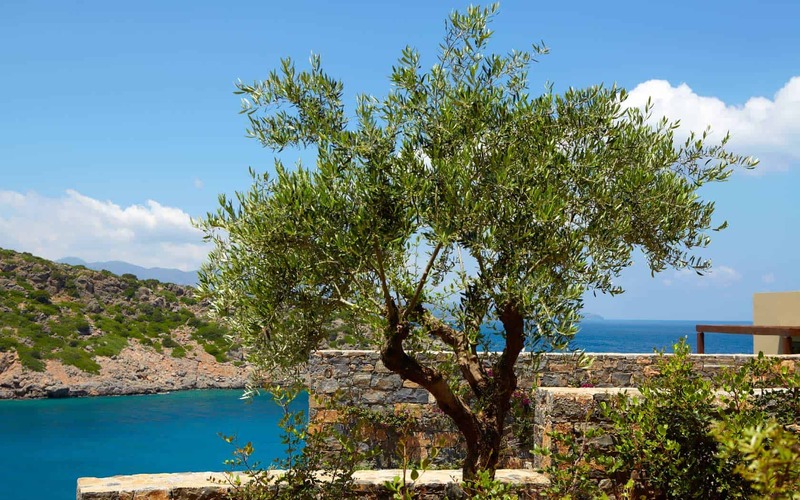 Daios Cove is 7 kilometres from nearest town Aghios Nikolaos. Daios Cove Transfer time from nearest airport Heraklion is 50 mins.